Over the weekend I had the sudden urge to crochet my six granny squares together, basically just to teach myself how to do it and find out what NOT to do for my next blanket project. In general it was a success, apart from the extra rippling along the outer border. I believe this happened due to the actual square pattern becoming larger towards the edges. Once I finish the blue row I will block the whole blanket and see if that helps. 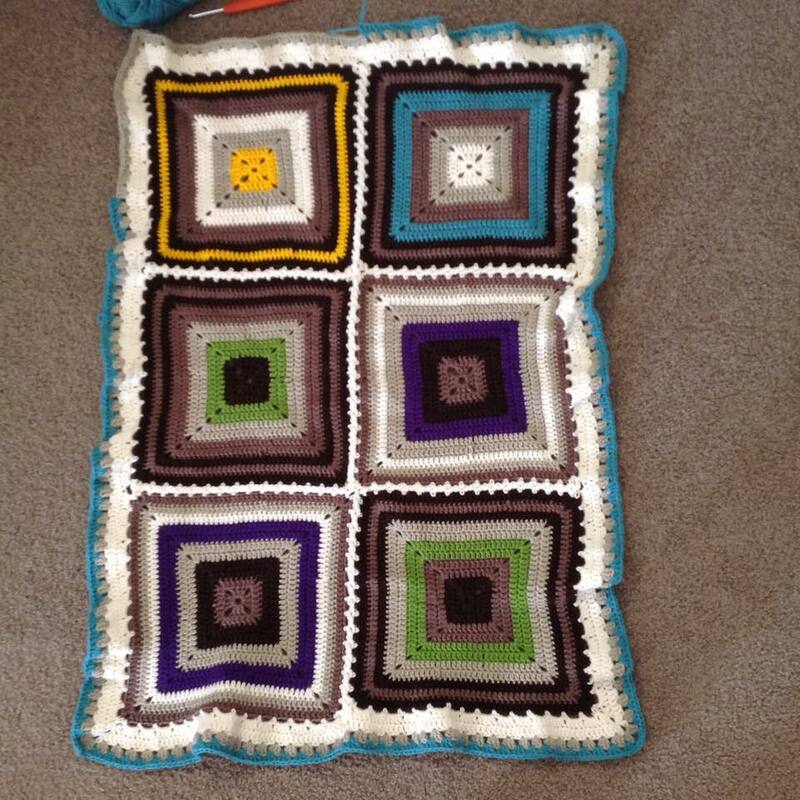 Regardless, I’m happy with the colours and I think it’s a cute little infant-sized blanket.